August 2014 – bhasin consulting inc.bhasin consulting inc. Happy 4th anniversary to bci! bci is delighted to be celebrating its 4th anniversary! Thank you to all our clients, friends, and stakeholders who have supported us since the start. We really appreciate it! And thanks to the wonderful bci team who got together to celebrate our anniversary this week. Here’s to many more anniversaries to come! 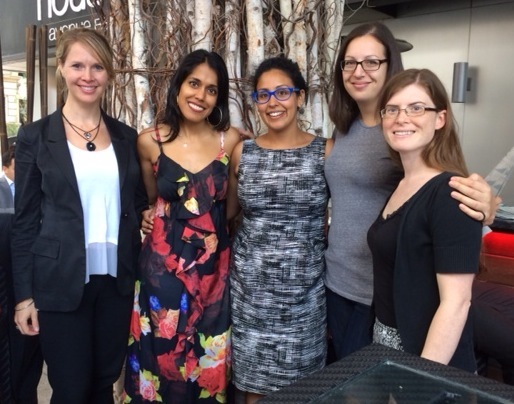 From left to right: Joanna Kirke, Ritu Bhasin, Coralie D’Souza, Sarah Israel, and Alyse Runyan.